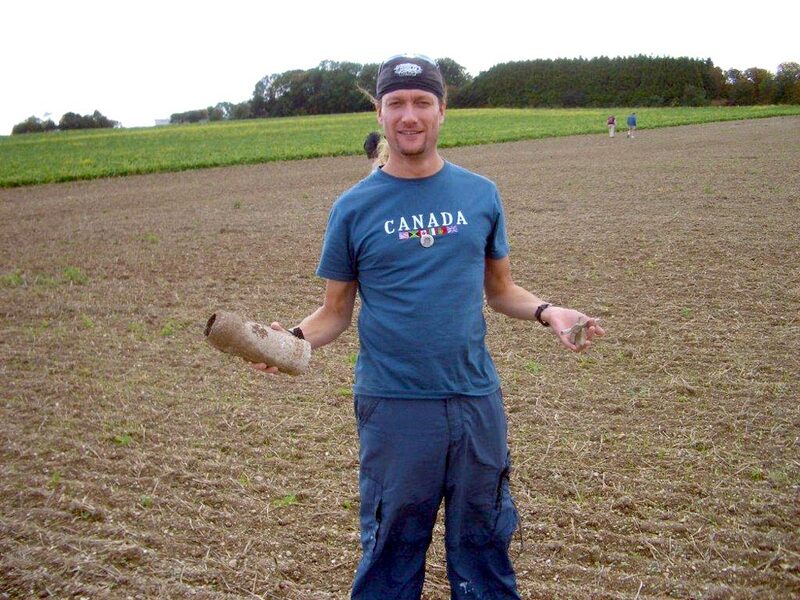 The image above contains items found in a farmer’s field north-west of Arras. The items were collected and left at a predetermined location for the bomb disposal unit to pick up, and they include some live / unexploded shells and a hand grenade. Caution should always be used when discovering certain items, Norm can help to identify them and decide best practices. When in doubt, ask Norm! The activity is so named because of the likelyhood of finding a shrapnel ball. A shrapnel ball is a small metal ball, with hundreds of them packed into a shell which is then fired and designed to explode above the heads of the enemy, the balls raining down fully or in part, at explosive speed. 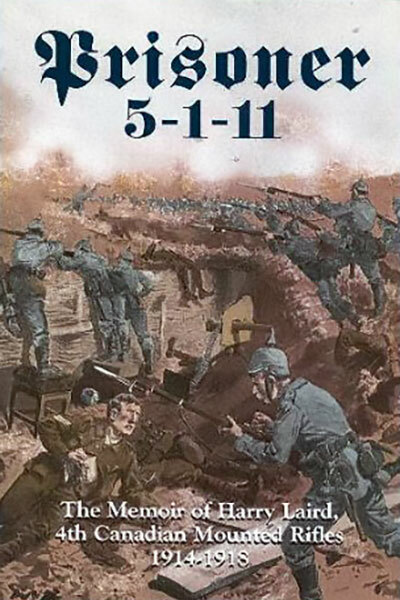 The majority of injuries in World War I were upper body, most to the head and neck. Despite the name, it is possible to find a wide variety of items, including shrapnel and gas shells, full and in part, pieces of equipment from tanks and other vehicles, barbed-wire, even weapons like rifles and hand grenades, ammunition, and personal items such as pins, clothing, coins and so much more. Every year, either by weather or farmer, thousands of these items are brought to the surface. France and Belgium have special bomb disposal units set up to travel the countryside and pick up the more dangerous items found by locals, including large unexploded shells. 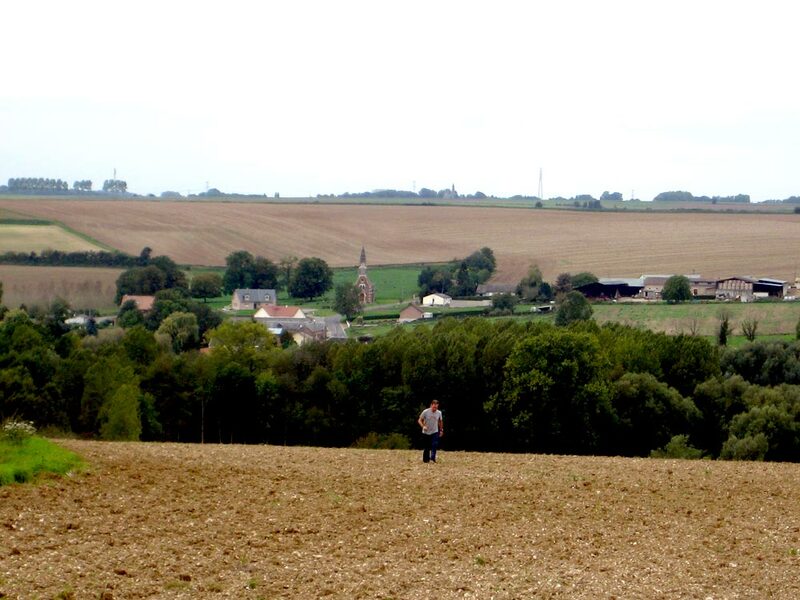 The tours can often be an emotional journey, and Shrapnel Balling provides not only a chance to walk and enjoy the sights and sounds and smells of the fresh European countryside, but a chance to explore with plenty of opportunity to find a relic that can transport the treasure hunter back to the war by touching a piece of history.